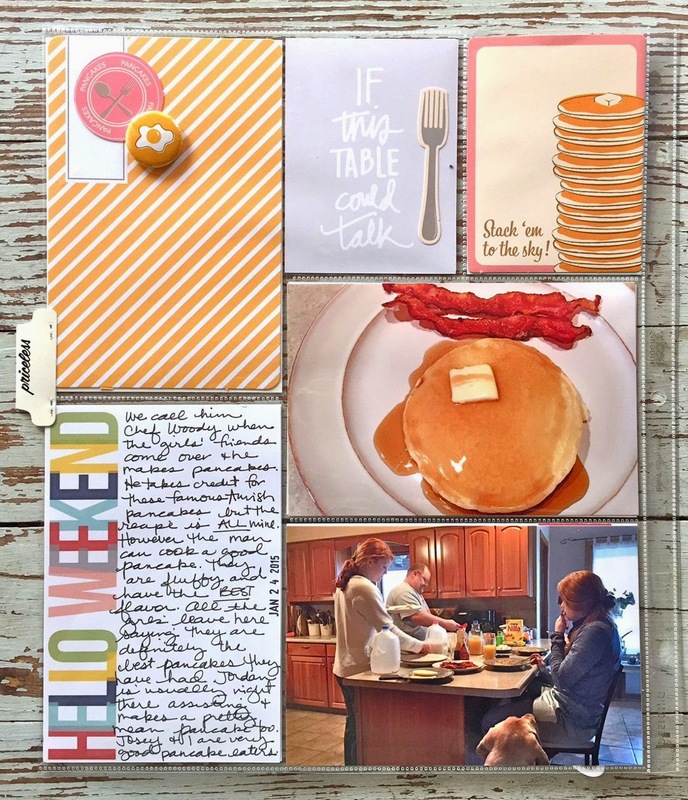 Sharing Week 42 of my Project Life 2014 today. Here's the two page spread. 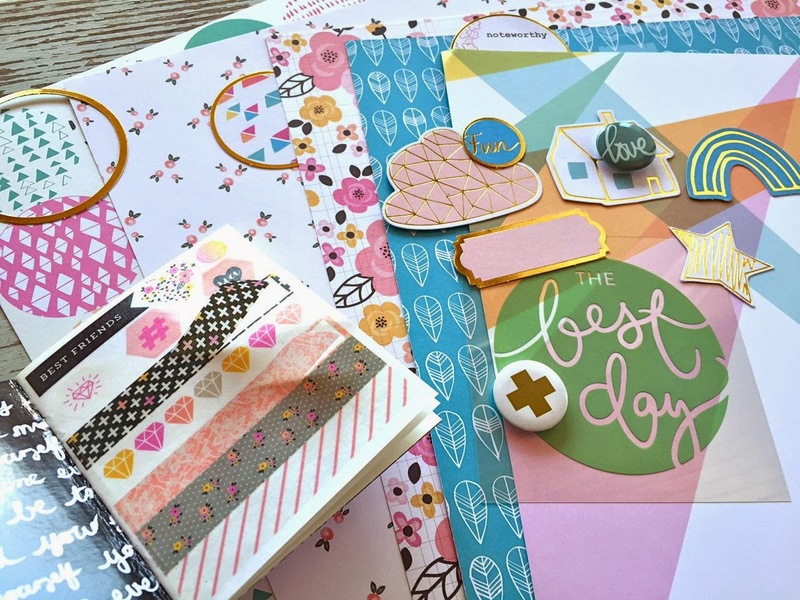 I'm using February Gossamer Blue kits for my layout today. Lots of random photos from the week. Keeping it simple. 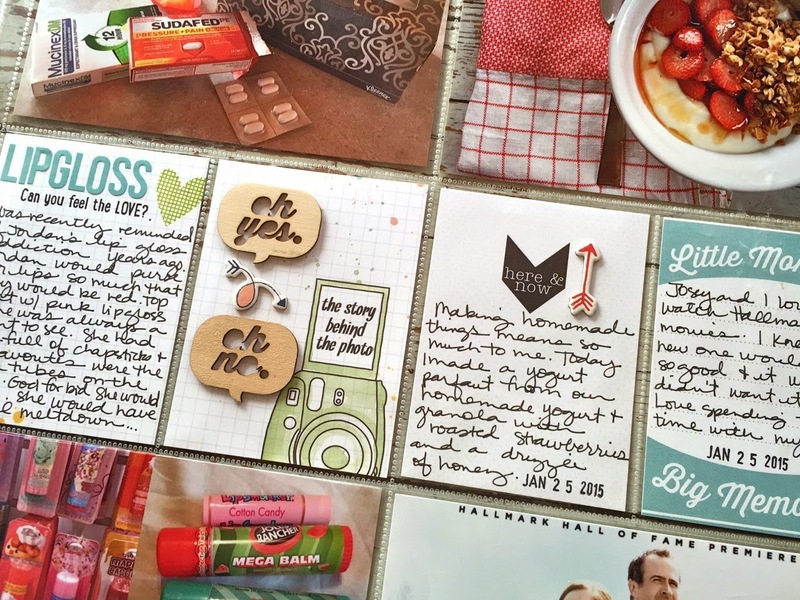 Photos + journaling + minimal embellishments. Loved the stickers from the February kits. 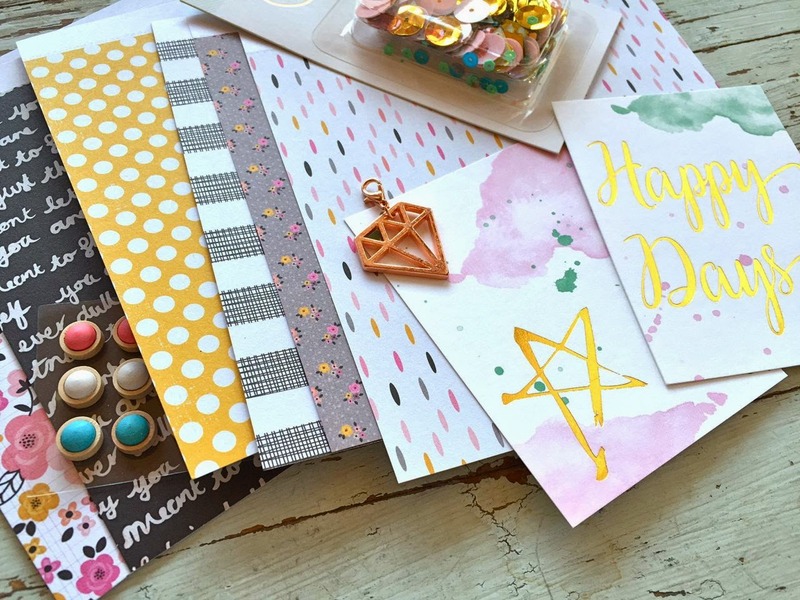 An easy way to add simple embellishments to journaling cards. An insert this week too. There's about a one week time spam when the leaves on our autumn blaze maple are just stunning. 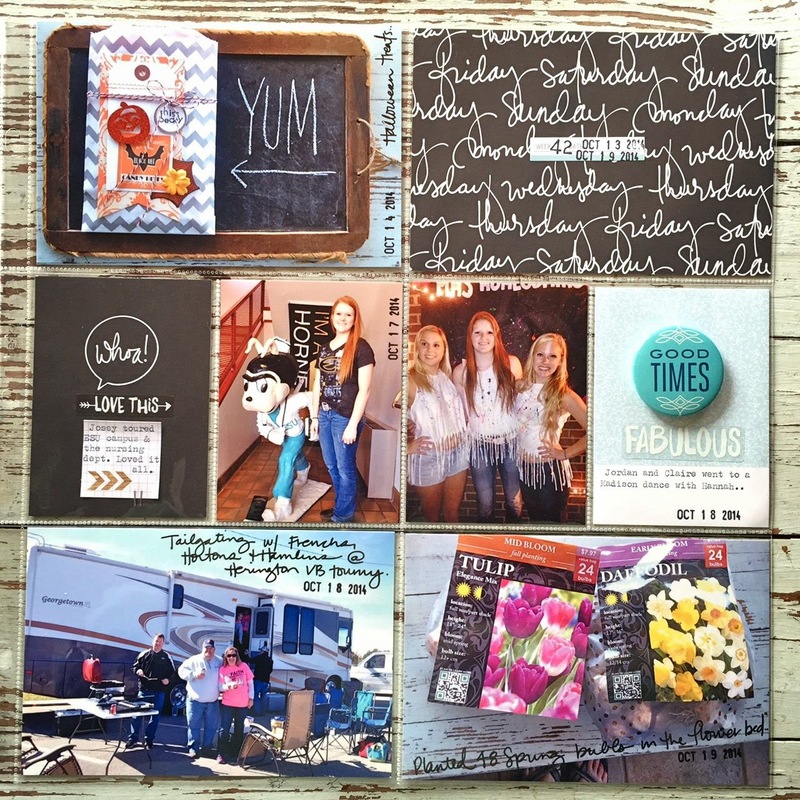 I'm sharing Week 42 of my 2014 Project Life today. On the left side I used a different than my usual size page protector. This one has four 6 x 6 slots. I used this entire side for our 20th anniversary. We agreed to no gifts but I ended up being surprised with a pair of new diamond earrings. I tucked the note from Eric and the wrapping paper in one slot. This is the right page which holds random photos and stories from the week. 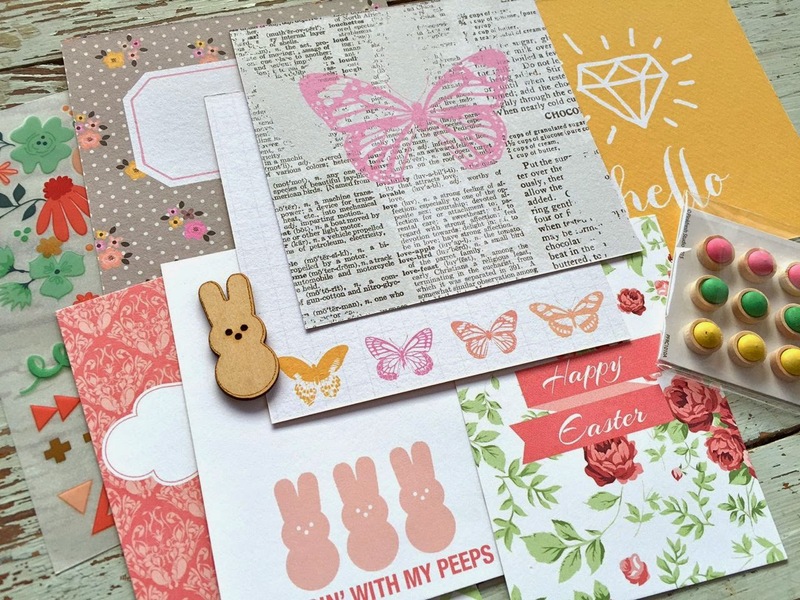 I used February Gossamer Blue kits for my papers and embellishments. A few Halloween treats, a photo of Josey while touring the nursing department at the college visit, Jordan and some friends gettin' fringy at a school dance, tailgating at the volleyball tournament on a gorgeous Saturday and a nice record of the Spring bulbs I planted. I actually went looking for this photo and date to see what I planted and how many. 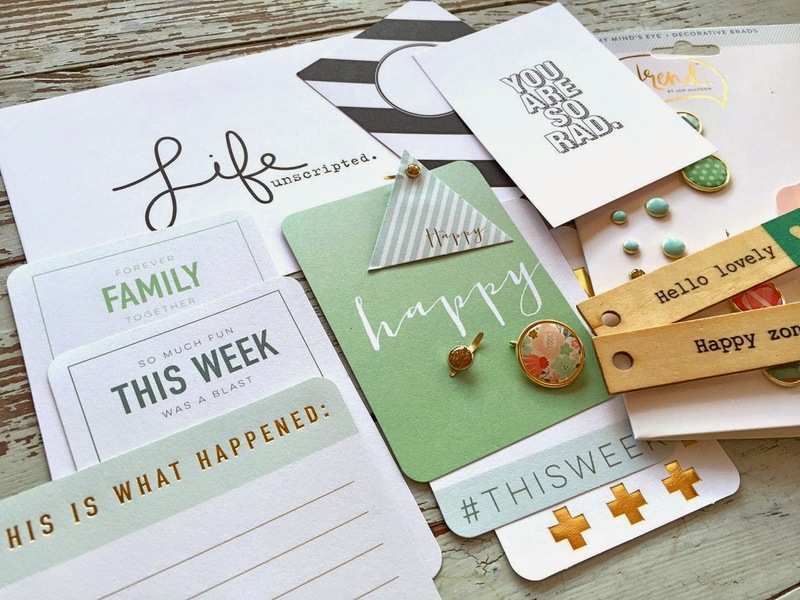 Project Life is great for that kind of record keeping. 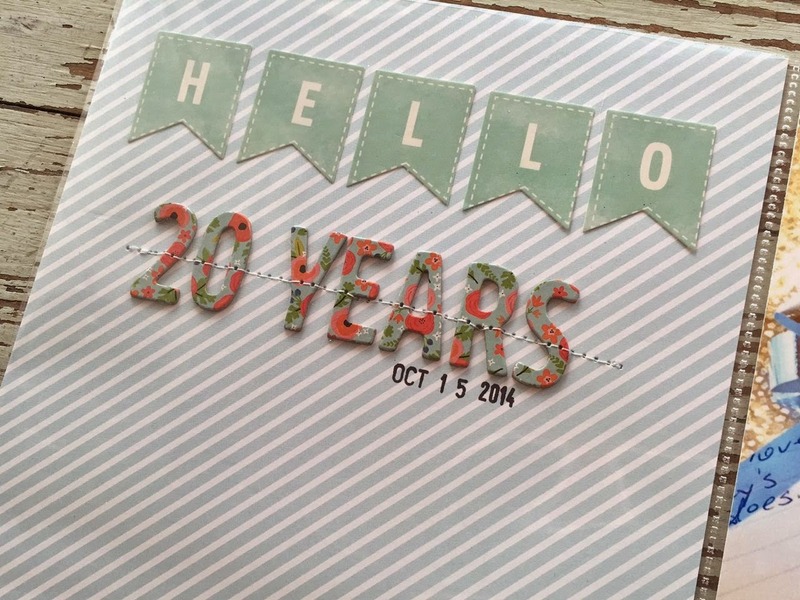 Stitched on chipboard letters and stickers for the anniversary page. 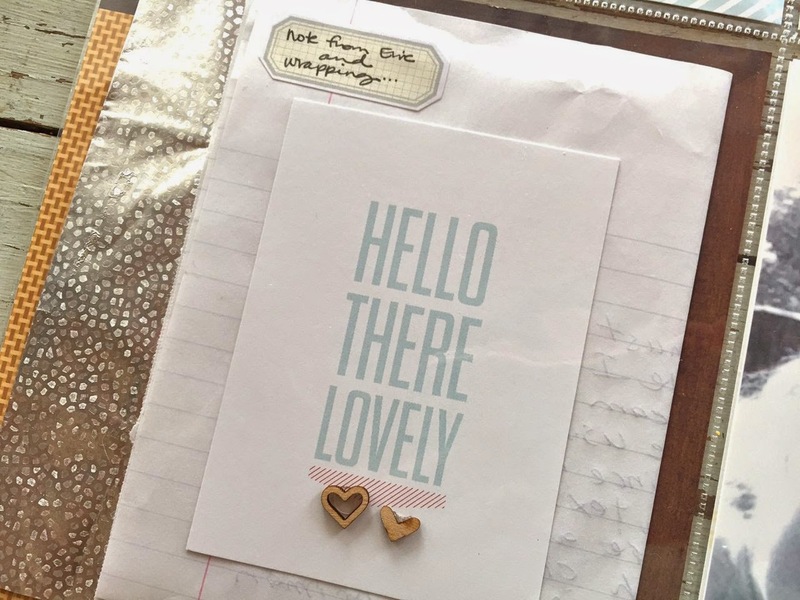 A journaling card with wood veneer hearts and a little sticker label for journaling. 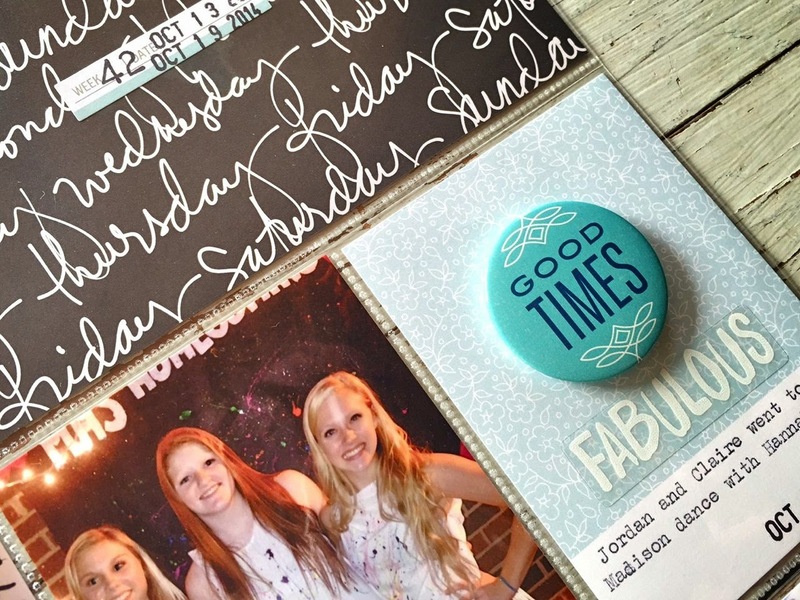 A giant flair button looks perfect on a simple journaling card. More great times with the family in the album. It was a good week. 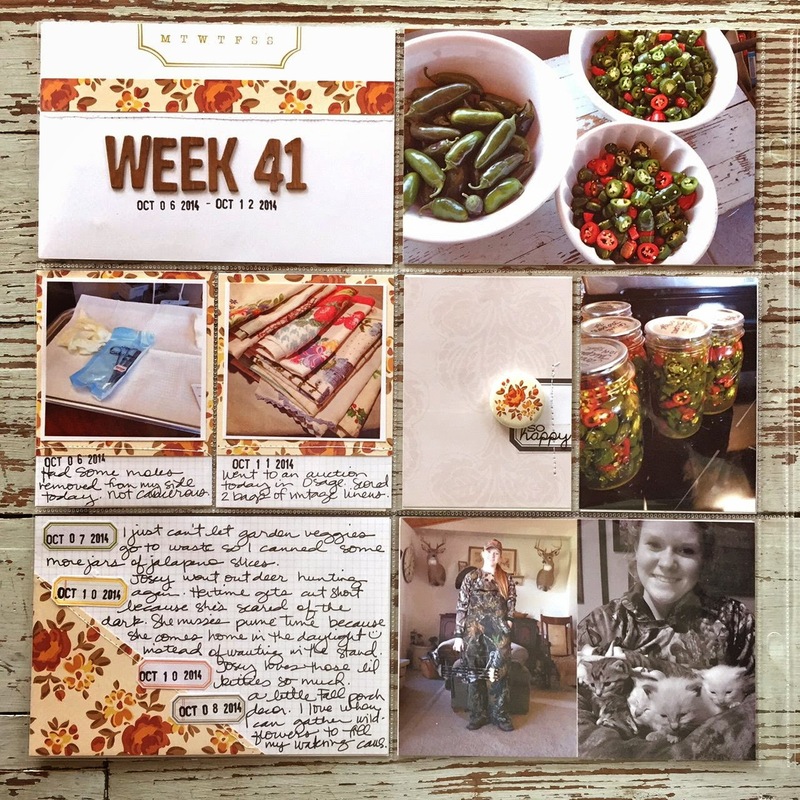 I'm sharing Week 41 of my 2014 Project Life today. 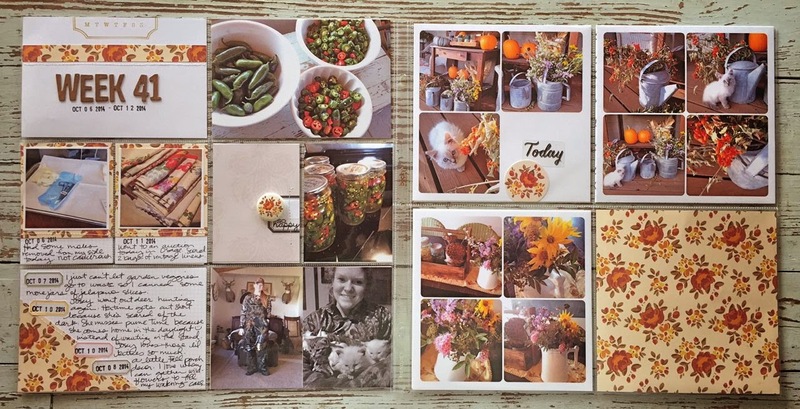 This two page spread started out with the three 6 x 6 inserts which are collages of my Fall porch decor. I wanted to keep the pages simple so I could plow through on my 2014 remaining weeks. 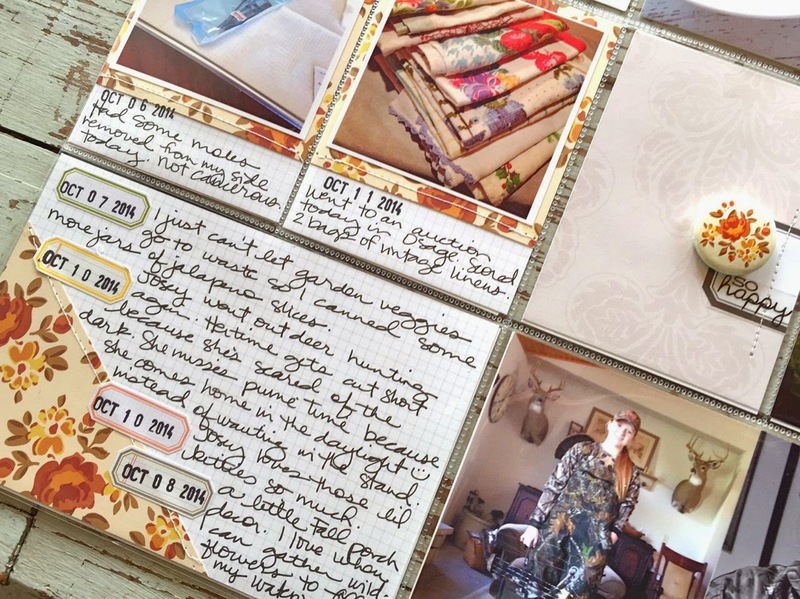 I ended up just placing a 6 x 6 square of patterned paper in the remaining slot on the right page. 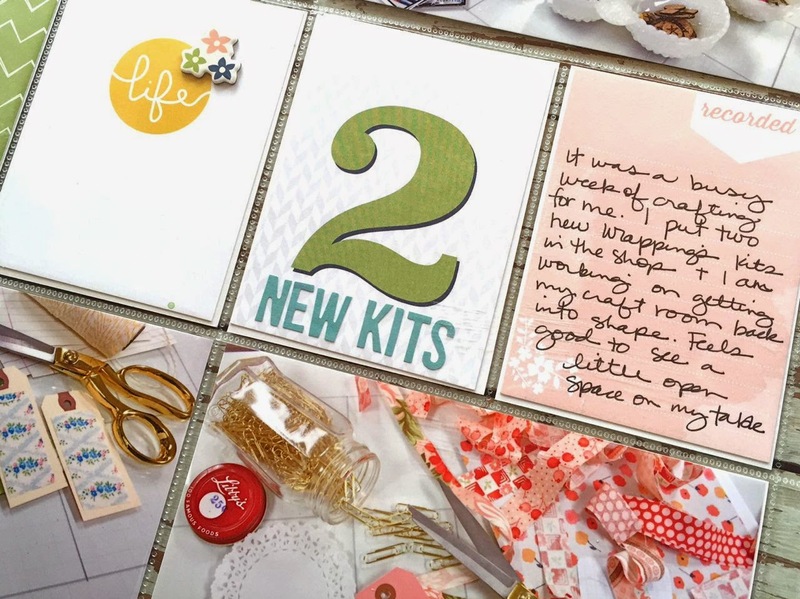 On the right side, I didn't really have any journaling cards from my February Gossamer Blue kits that coordinated so I just made my own. 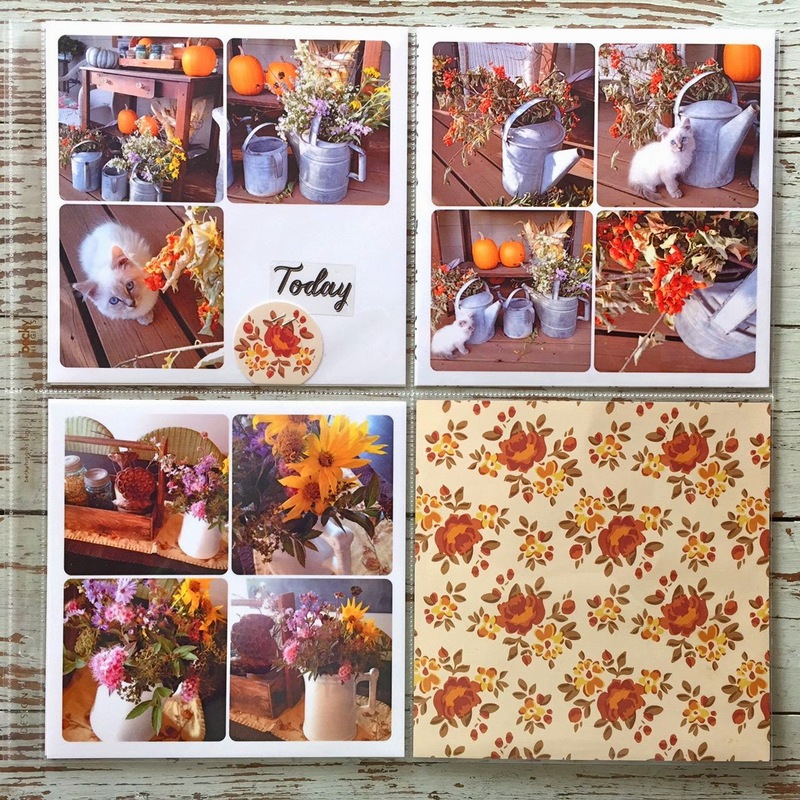 I used remaining scraps from the October Afternoon 12 x 12 sheet. The two pages coordinate nicely and I didn't do much other embellishing. 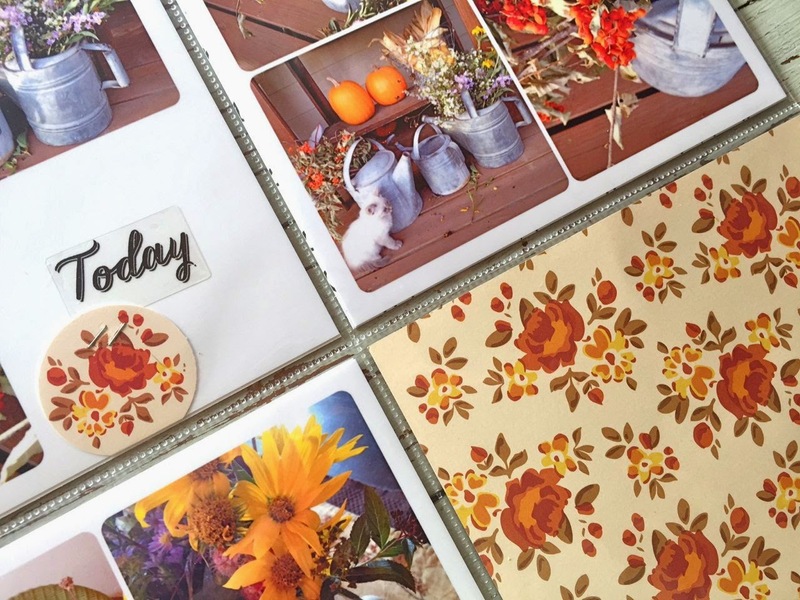 Since the February kits weren't really Fall themed since I'm kind of working out of season, I was happy to find this paper from the kits and just roll with it. 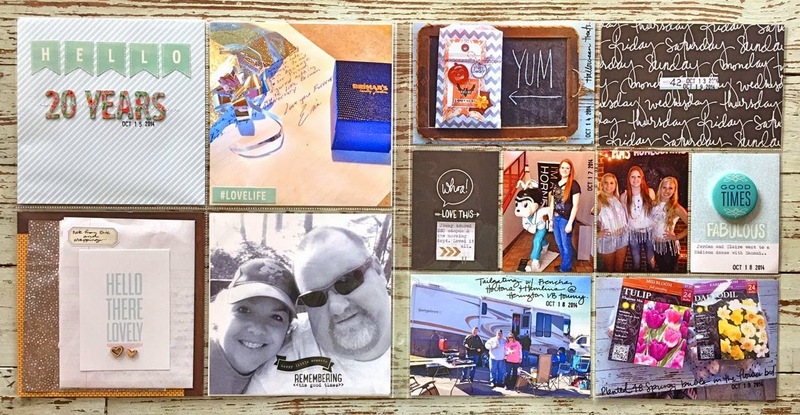 I did end up using a 4 x 6 journaling card with a paper strip and wood veneer letters from other GB kits. 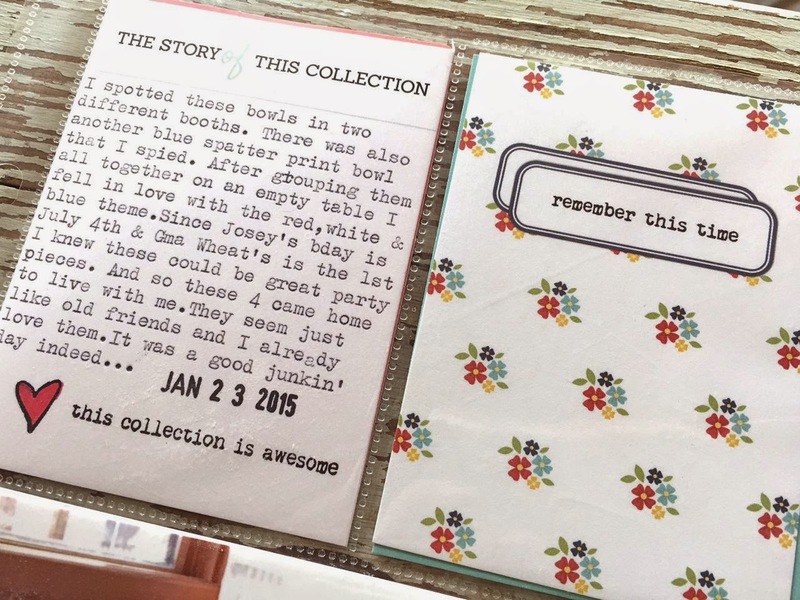 I loved the package of Simple Stories labels so much this month. 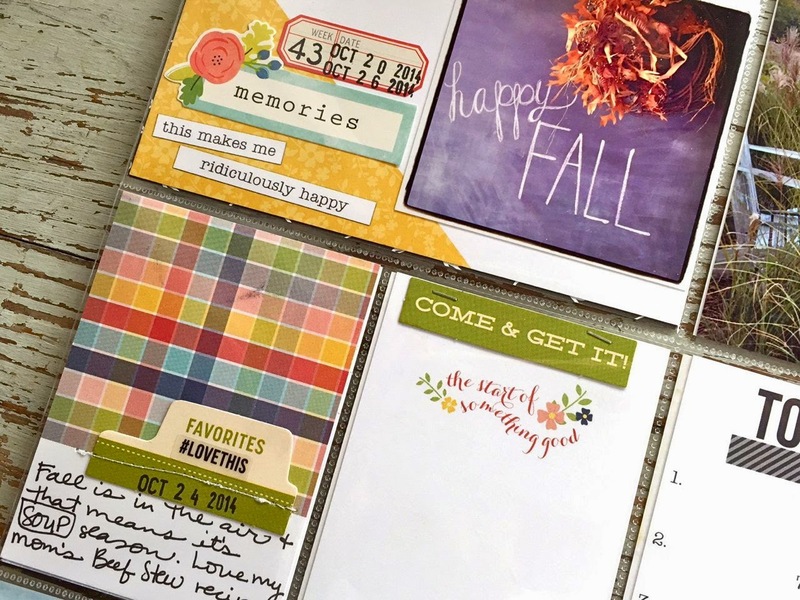 I used them on a 4 x 6 card as date markers then just hand wrote the rest of my journaling. A few stickers here and there and I was done with this week. I'm trucking along. Took a little break from working on pages so that I could have fun with some family stuff, organize the house a bit and enjoy the fantastic weather we had yesterday. I'll be back to share more pages yet this week. Have a great week everyone. Hi friends. Hope your week is off to a good start. 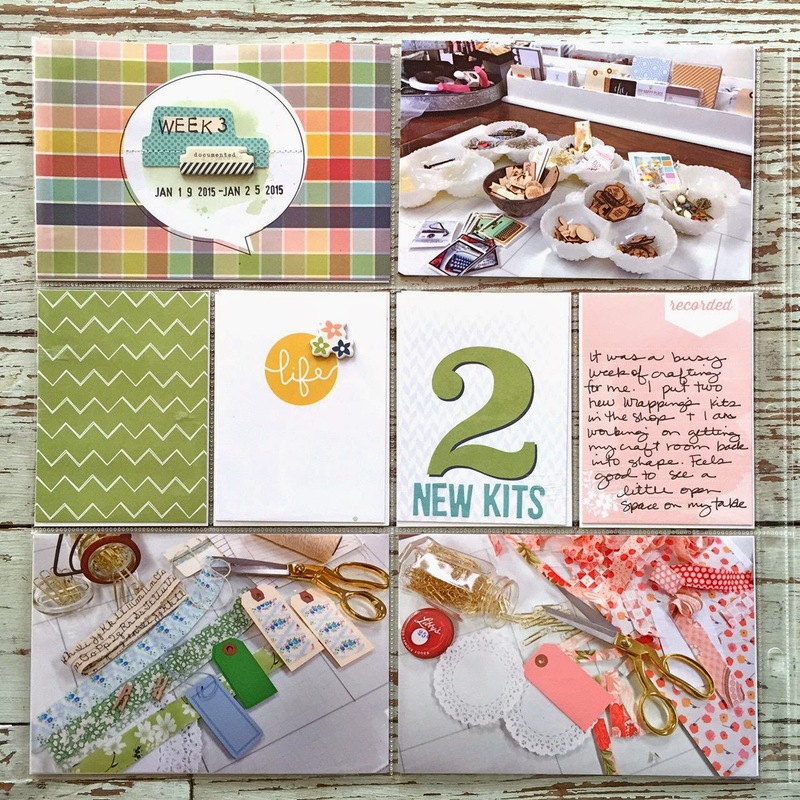 The February Gossamer Blue Kits are now up for sale + there is a big sale on some previous kits. 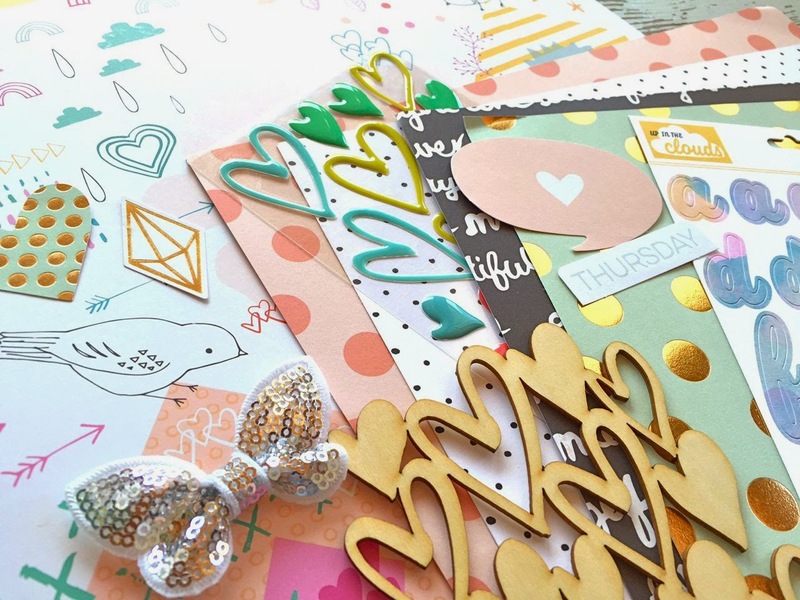 I'll be sharing my February projects on my blog this month and you can see all of them in the Gossamer Blue now. 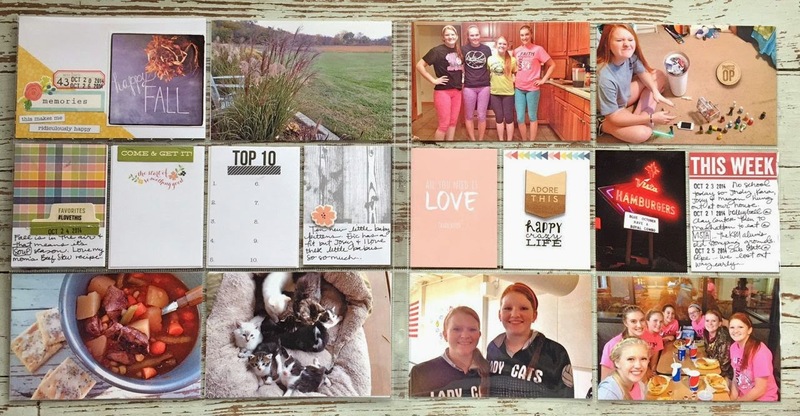 This is Week 2 of my 2015 Project Life. I have a two page spread with inserts and I'm so pleased with how easily they came together. 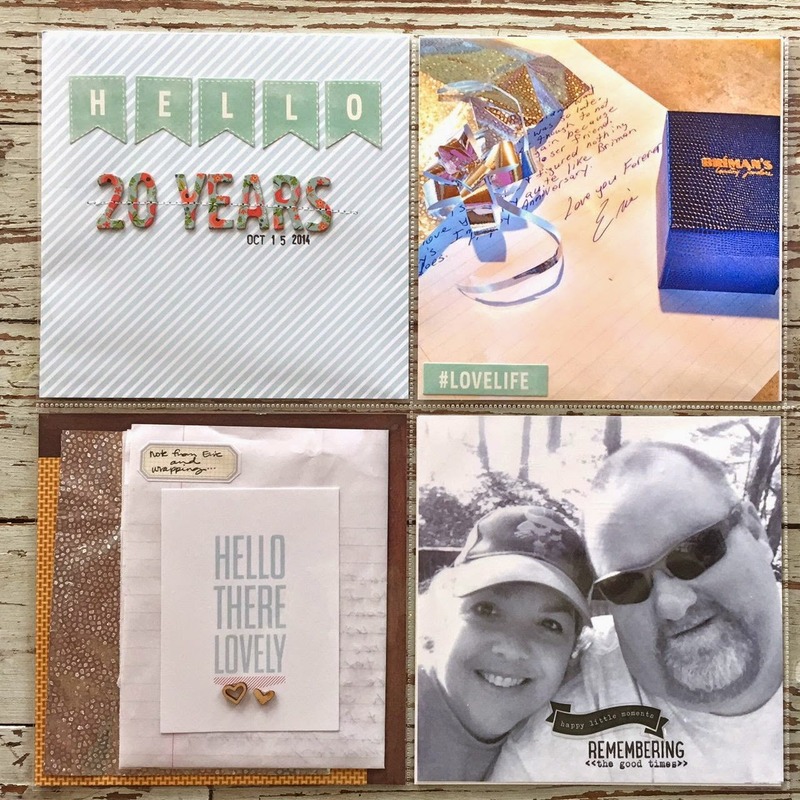 I used the Life Pages Kit for all of my journaling cards and embellishments. This is the two page spread shown with a 10 x 12 insert. Turning the page you see the back of the 10 x 12 insert (page protector from Project Life) and the front of an 8.5 x 11 horizontal insert. Here's the two page spread by itself. 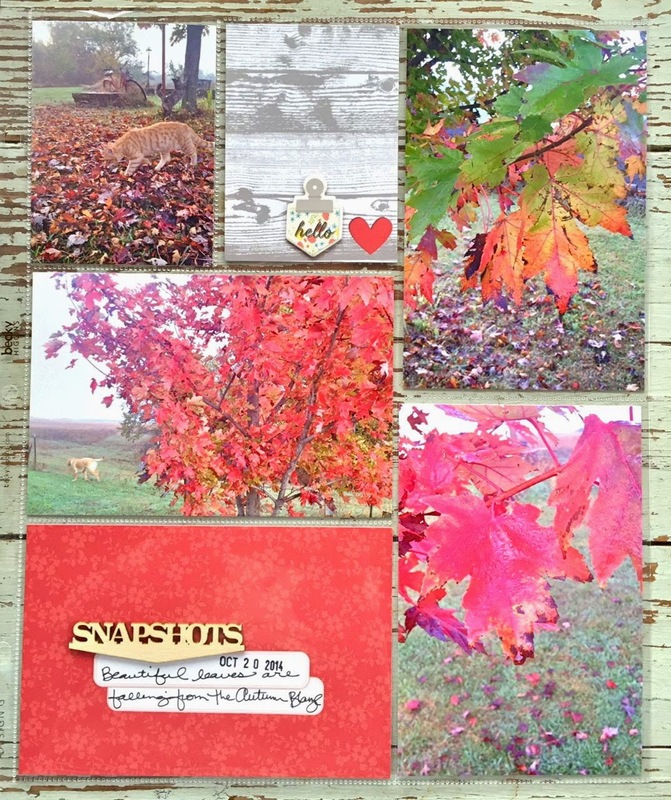 I love how the colors coordinated so well with this week's photos. The left page. Lots of crafty work this week. The right page. 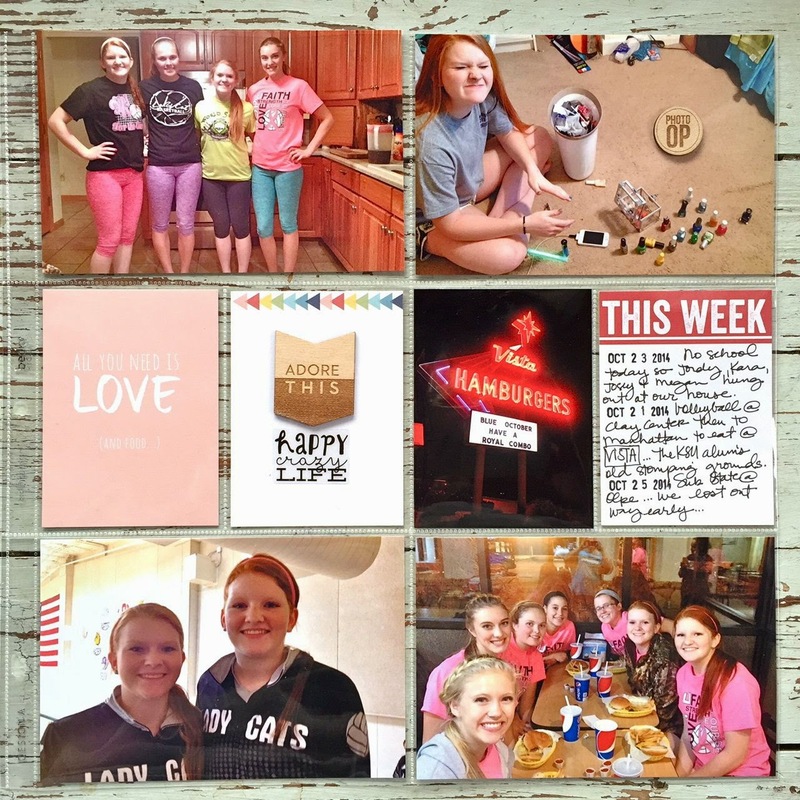 Just a mix of photos from the week. 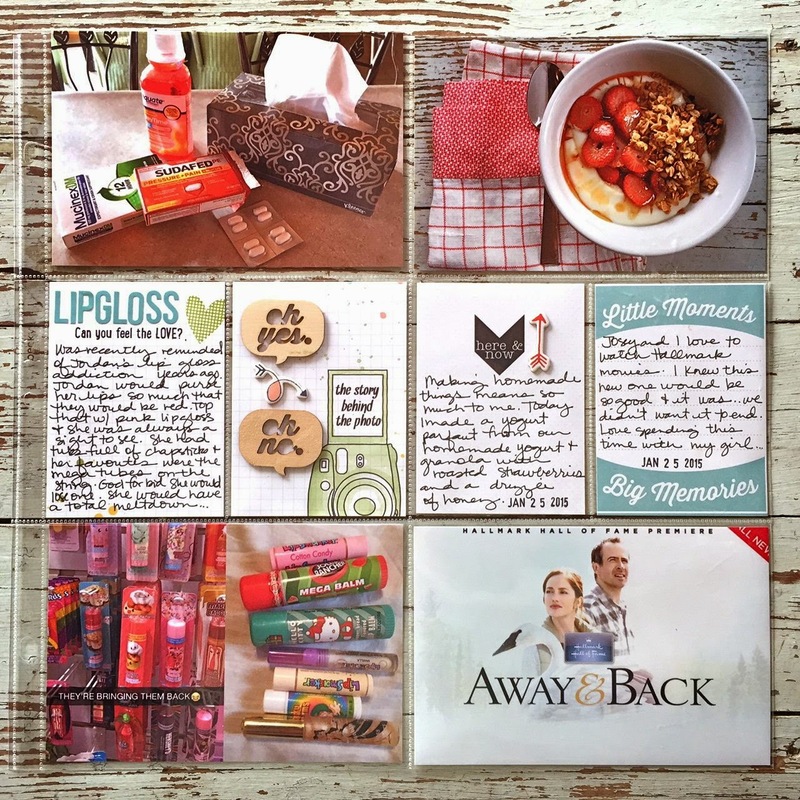 I loved this colorful plaid 4 x 6 card from the Life Pages Kit. I used my watercolors to create a subtle green wash in the speech bubble. 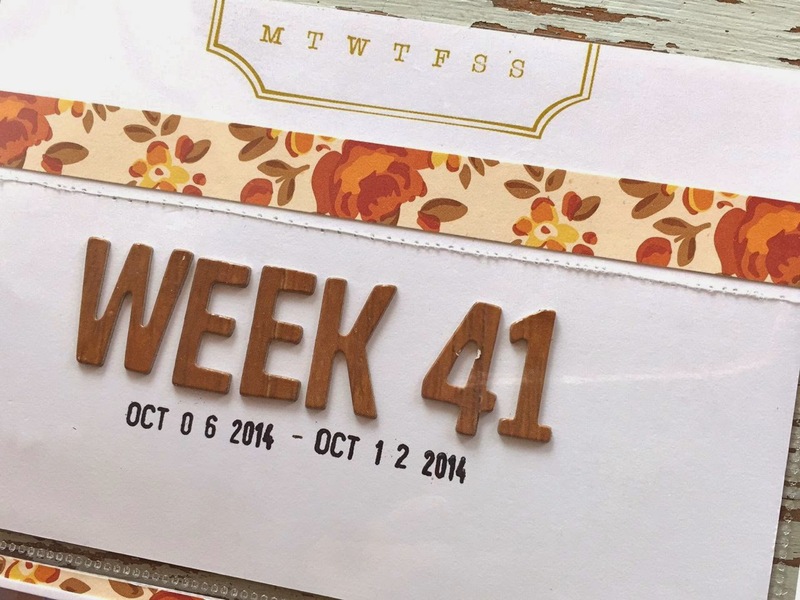 A paper file tab and chipboard file tab were used to note the week #. 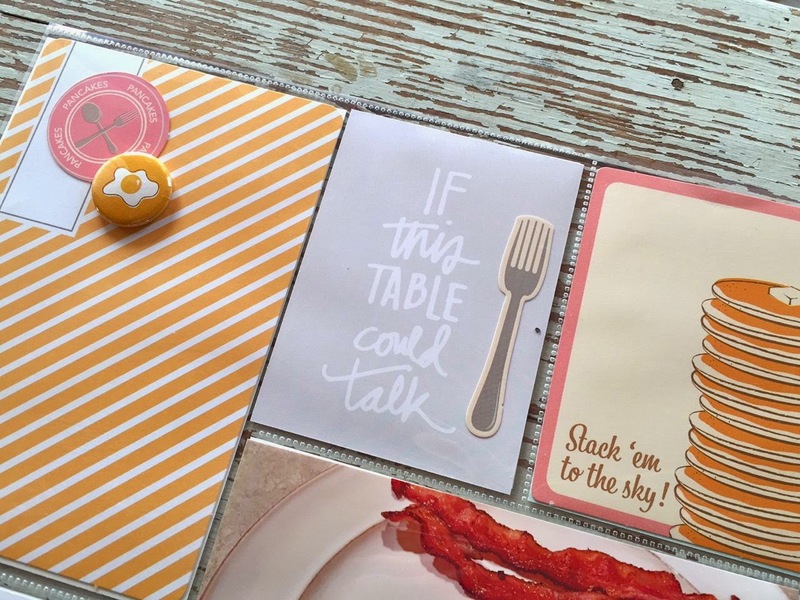 I'm loving white journaling cards with a design on them. They freshen up a page lickety split. 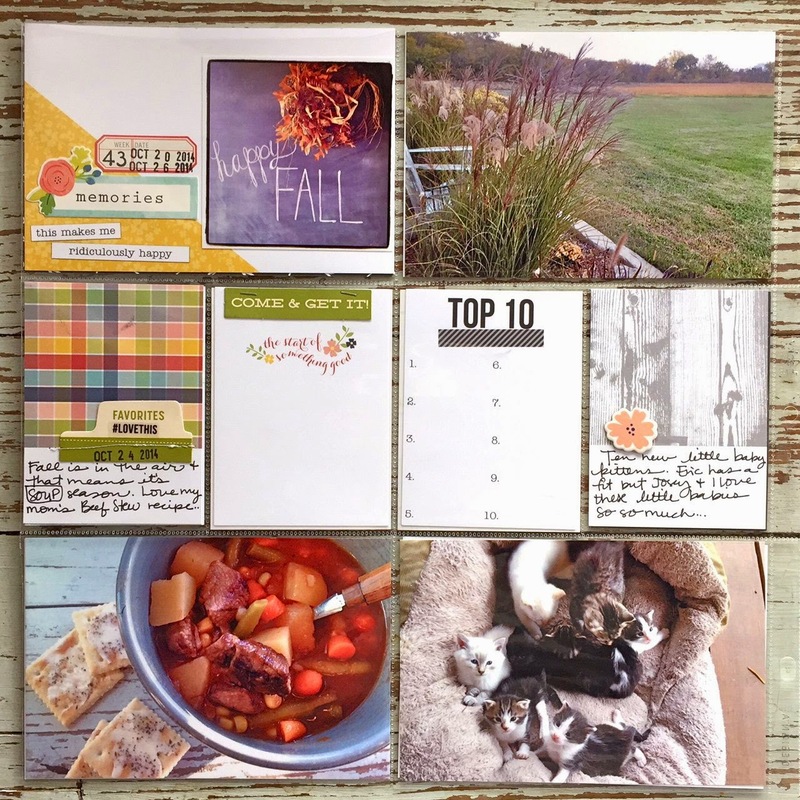 Here a lot of my 3 x4 cards with hand journaling. 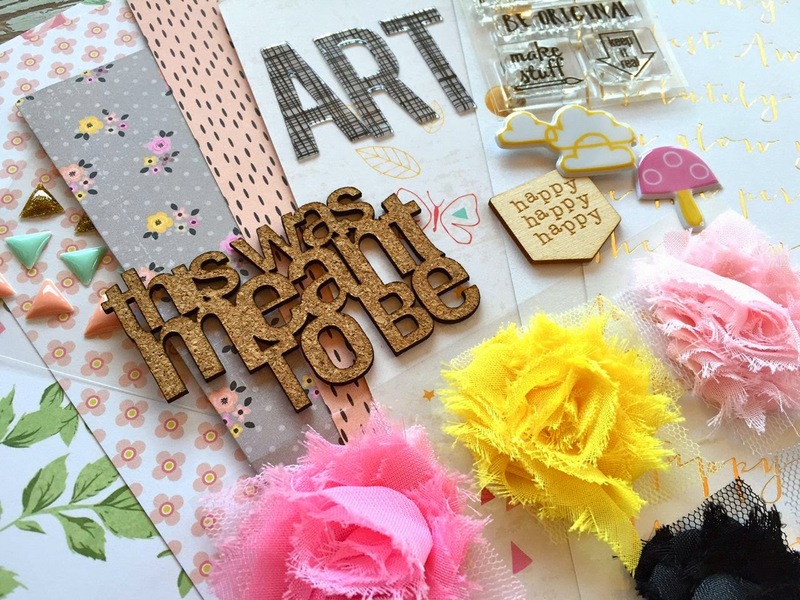 I loved the wood veneer pieces in the Life Pages Kit. They're becoming a favorite. I also watercolored that camera with the same green paint on my week number card. This is my 8 x 10 insert and I love how it turned out. The floral cards from the Life Pages Kit were made for this page, I think. They match my vintage bowls just perfectly. 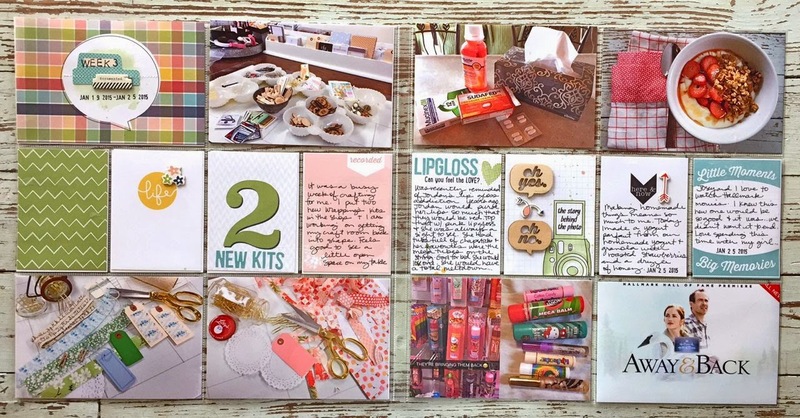 I added in some journaling cards, embellishments and stamps from Ali Edwards' Story Kits and Stamps for this insert. 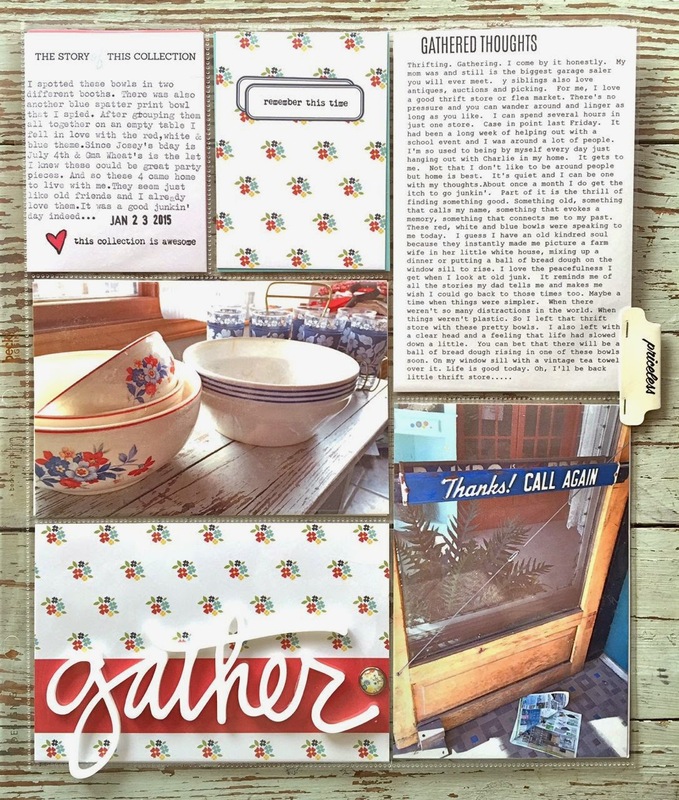 The theme was Gathering this month so I chose to create this page from a blog post I wrote recently about a thrifting trip. 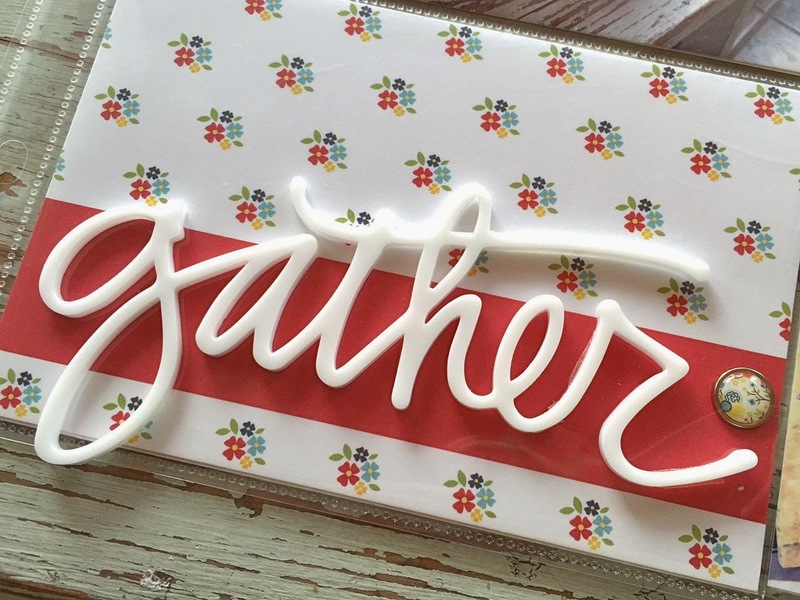 This large plastic word is also from Ali's Gathering Story Kit. Brad is from Gossamer Blue kits. 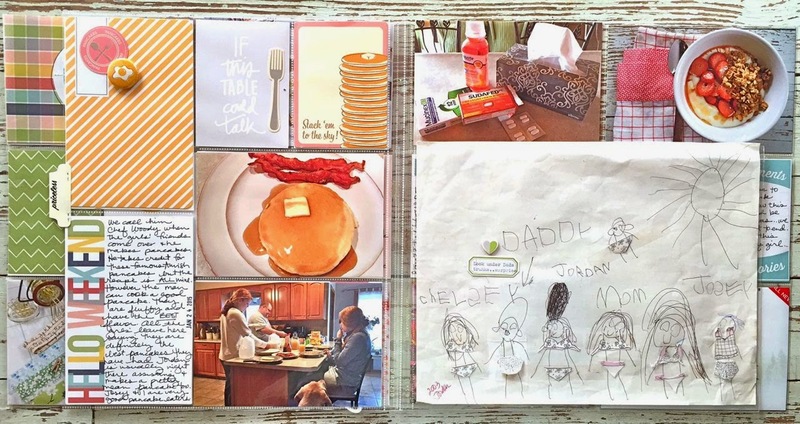 The back side of the insert is about our pancake mornings. 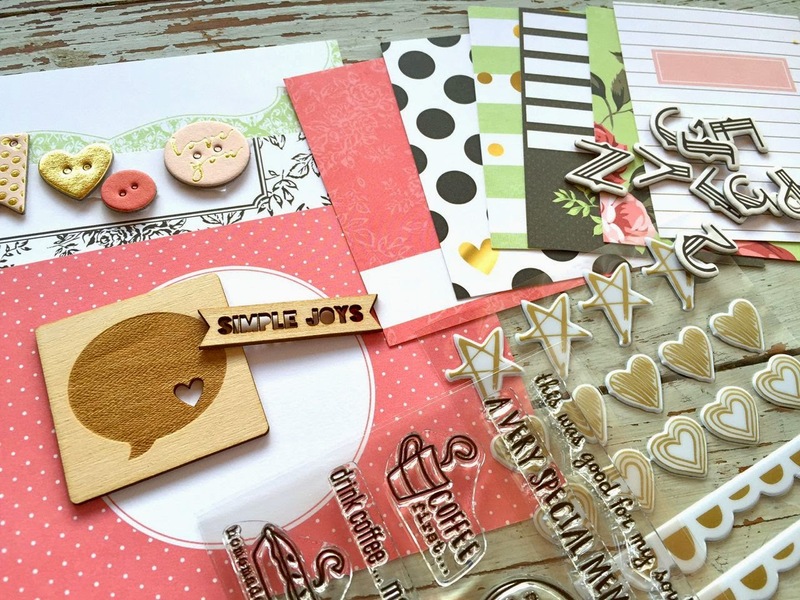 The February GB kits are full of October Afternoon goodies and pancakes were a popular theme. Perfect for my photos in this insert. 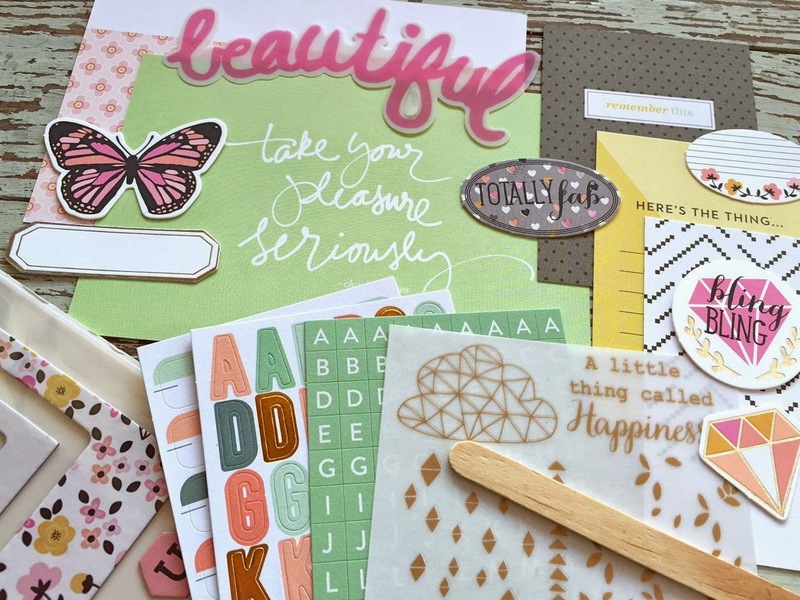 The striped journaling card was from my stash. 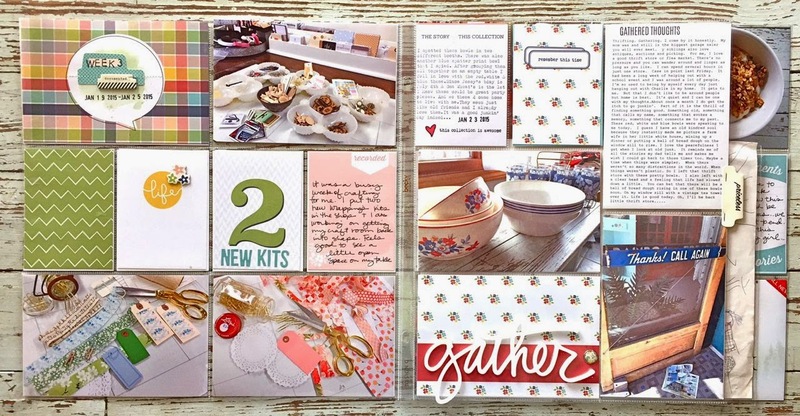 The gray journaling card is from Ali's Gathering Kit. I love that egg flair button and the fork sticker from October Afternoon. 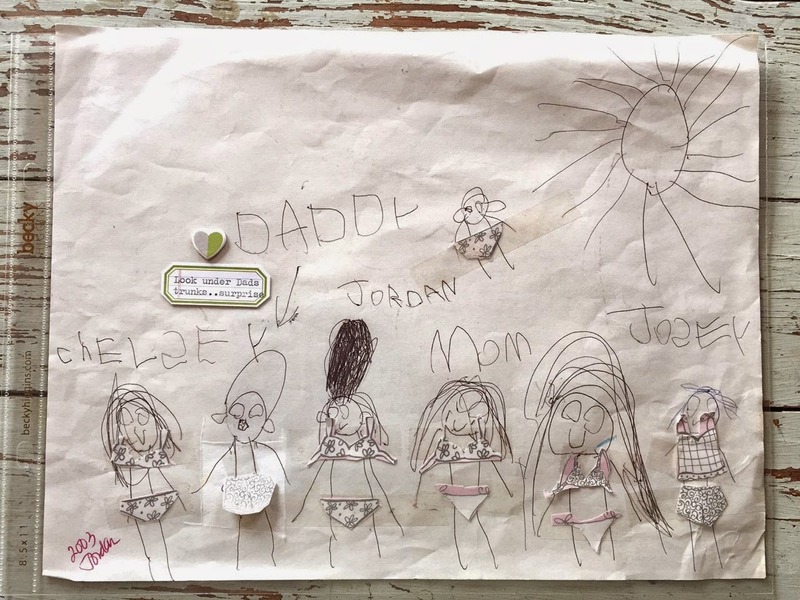 This is a funny little drawing that Jordan did when she was five. She found it and pointed out that she drew a little something special for Dad. We never noticed it til just now. 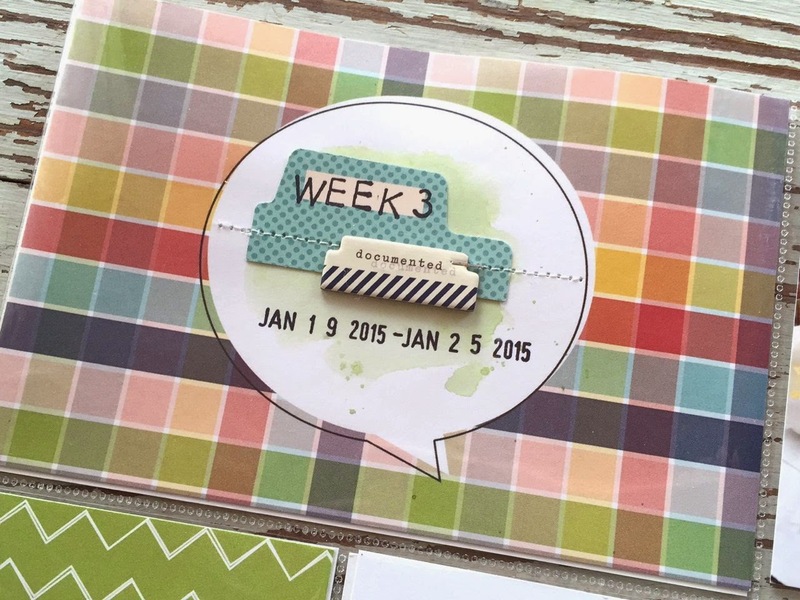 I used embellishments from the February kits for journaling. Surprise!! 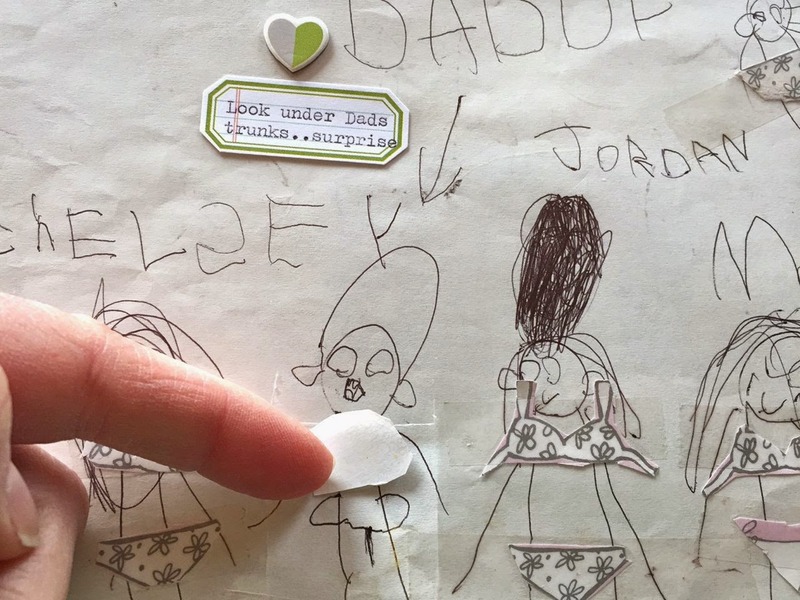 I cut out a square in my page protector so the little flip up swimming trunks could reveal Dad's *ahem* details. That's my girl. So so happy with how my 2015 pages are coming along. I've kept things simple and easy but am able to add in just the right amount of embellishments. I'm also catching up on 2014. Just 7 more weeks to go. I'll be sharing those pages soon too. Thanks for stopping by!